Once again the Beechworth Celtic Festival is set to attract the crowds of Celtic lovers to Beechworth. We are building on the successful format from 2017 which saw the introduction of the Beechworth Old Gaol Tattoo which was held within the walls of the Old Beechworth Gaol. 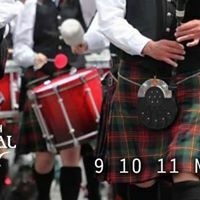 We are also planning to reintroduce a Highland Bands March and range of other activities which we haven’t held for a few years. These will be finalised by the end of June and the full program will then be available and bookings opened.